I’ve had a few LEGO Ninjago Movie sets sitting on my desk waiting to be built, and I’ve finally had the chance to take a look at them! These have been around for a while already, and they’re still on shelves just waiting for you to grab them. 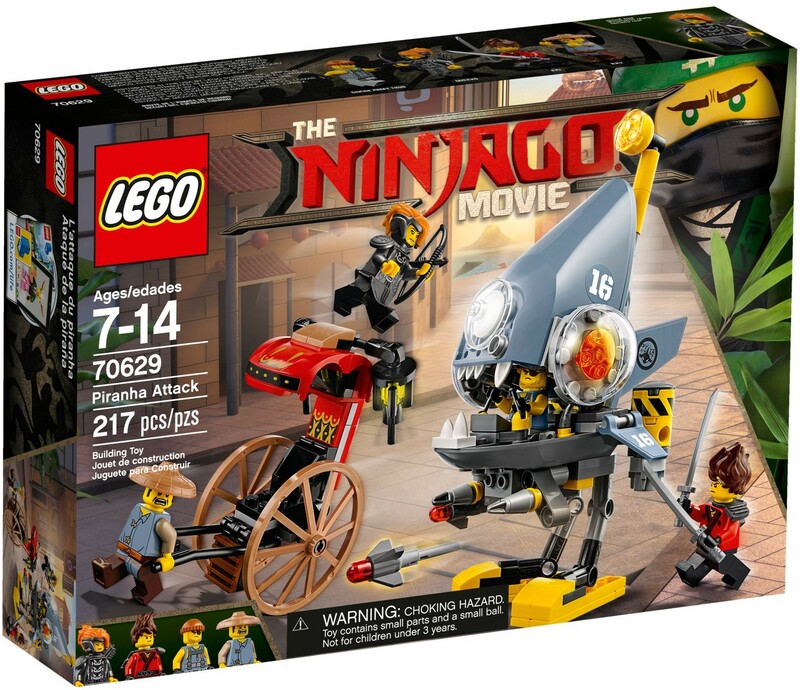 For the first one, I’m looking at one of the smaller sets – 70629 Piranha Attack, but I’m also planning on looking at a couple more, including the shark mech – 70656 garmadon, Garmadon, GARMADON! Let’s take a look at 70629 and see how it fares. Inside the box there’s two bags of parts, one instruction booklet and a sticker sheet with 12 stickers. 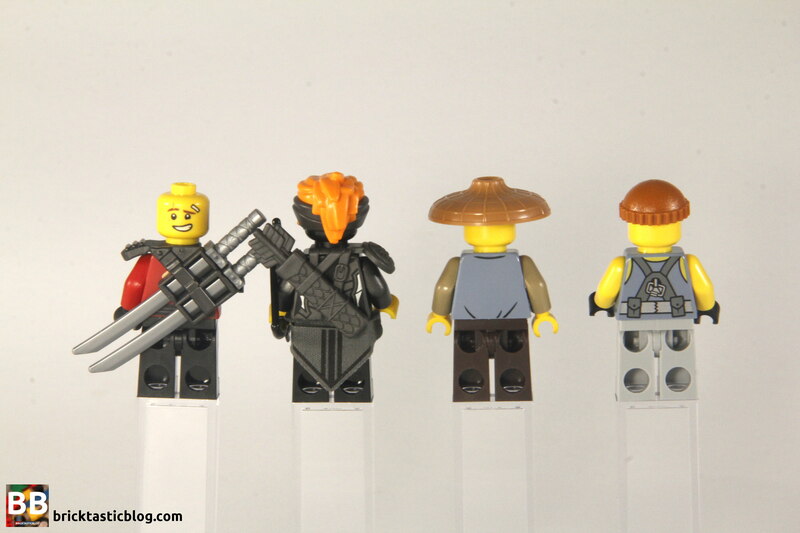 As always, we start with the minifigures. There’s Kai, Ray, a Shark Army Thug, and Misako, dressed up as Lady Iron Dragon. Kai is wearing his shinobi shozoku, without his mask. He’s got his crazy flame hair (as he’s the fire ninja), and a couple of katana strapped to his back in a holster and shoulder guard. He’s got some great printing, especially on the legs. He’s also got a double sided head, with a smiling and angry expression on each side. Ray, our intrepid rickshaw driver (runner maybe? ), has a medium nougat hat (which is fantastic), and a scared expression on his face. He’s wearing a light blue tunic with some nice printed creases, and dark brown pants and printed sandals on his feet. I love the printed belt, too. I’m not sure about the different coloured sleeves, though. Misako, dressed as Lady Iron Dragon, has got some serious armour on, which looks great. The printing on the torso is excellent, and I like the quiver of arrows, bow and armour, but I feel there’s some shortfalls with this minifigure, which is a shame. The first thing is the fabric skirt – it doesn’t sit straight, and seems to interfere with the arms. Also (and this is the biggest point), the printing on the face is not great. I understand that printing yellow on a black head element isn’t usually going to result in a bright print, but it doesn’t look good at all. It’s very washed out. Lastly, there’s the Shark Army Thug. He’s pretty standard, and there’s one of these in almost every set in the theme. He’s also got some good torso printing, as well as some printing on his legs. His face is great – a perfect level of mean and gruff. 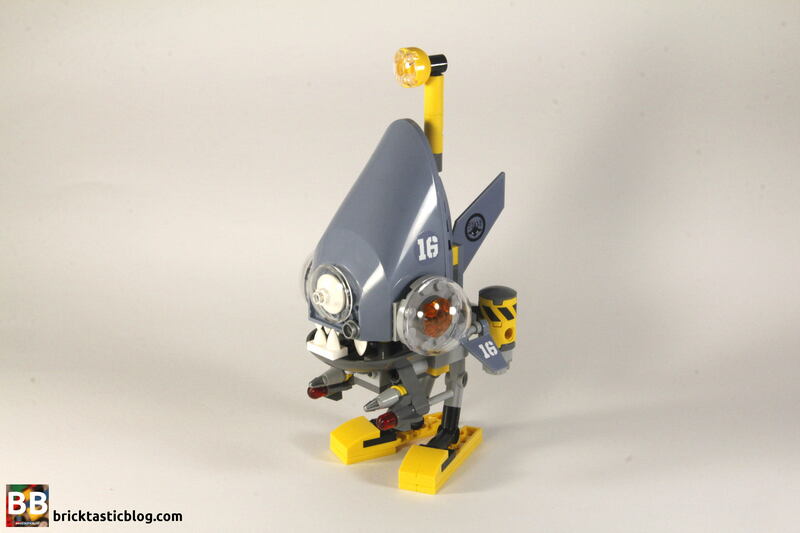 There’s no accessory for him, but he doesn’t really need one – he’s got a piranha mech! While there are some excellent elements in the set, there’s not that many that are unique to it. In fact, there’s only one – Ray’s torso. There are some very interesting parts in this set, and some you wouldn’t expect. I absolutely love the sand blue elements. It’s such a nice colour, and there’s a large range of items in the colour. The domed windows that make up the piranha’s eye are great inclusions, and I love the big wagon wheels! 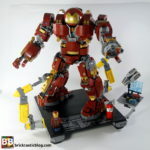 I’d buy two of this set, just for the parts. While the legs of the piranha mech are not moveable (the feet are, but not the legs), it makes sense. There’s so much weight that’s off balance on this model, I imagine making pivot points on the legs would only result in the mech falling over. That being said, there’s still a lot of play features in this set. The flick-fire missiles can shoot, the rickshaw is a lot of fun to move around, and there are plenty of stories to be told with this set. It’s a lot of fun. Yes, there are areas of improvement, and it’s not the perfect play set, but it’s still a lot of fun. 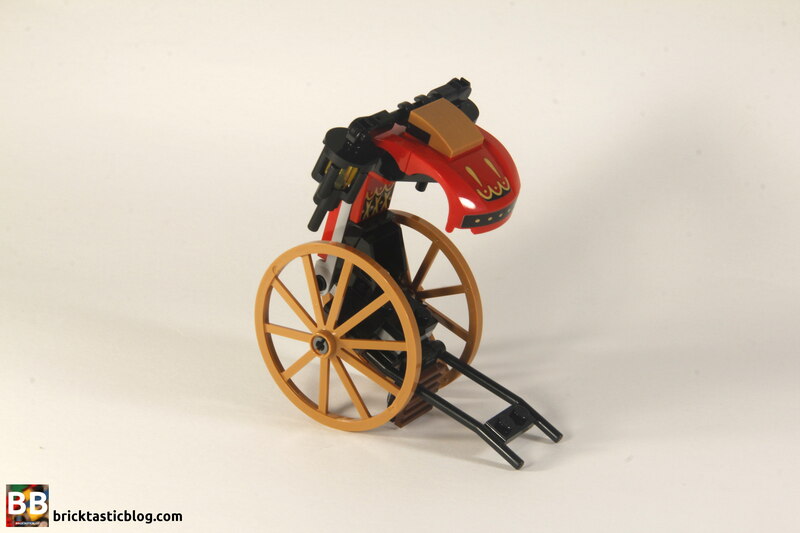 The build process starts with my favourite model in the set – the rickshaw. It’s very cleverly designed, with a hinge plate connecting the base from the back and awning. The large wagon wheels are added on backwards, so the front profile is thinner, but it’s easy to turn them around if you want a wider wheelbase. The next stage of the build is the piranha mech. This one starts with the ‘deck’ of the mech, where the Shark Army Thug sits. It’s quick, and you’re soon on to the top and outside of the mech. 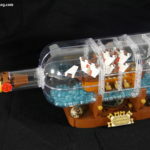 Seeing this come together is fantastic, and there are some clever little build techniques included. I won’t spoil them for you, but it’s a fun little build. The legs are added last, and that’s it! There are a number of stickers included in this set, some of which wrap around 2×2 round bricks. Be careful with these, as it’s easy to apply them crooked. Aside from those, the other stickers are very easy to apply, and add a good amount of detail. All in all, it’s a relatively quick build, but very enjoyable. The design and appearance in this set is impressive. The rickshaw looks stunning, and absolutely in line with the real deal. The use of car bonnets as the awning is very clever, and with the stickers, to the untrained eye, it’s easy to mistake what they are. The stickers add a lot of necessary details to this set. 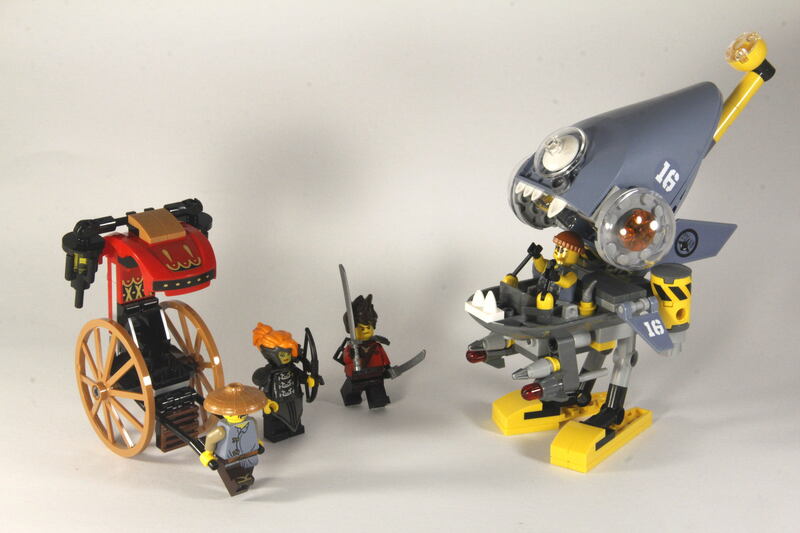 Some sets have stickers that are easily overlooked – this set is not the case in my opinion. The little ladder included on the front of the rickshaw is great, and just adds to the detail. 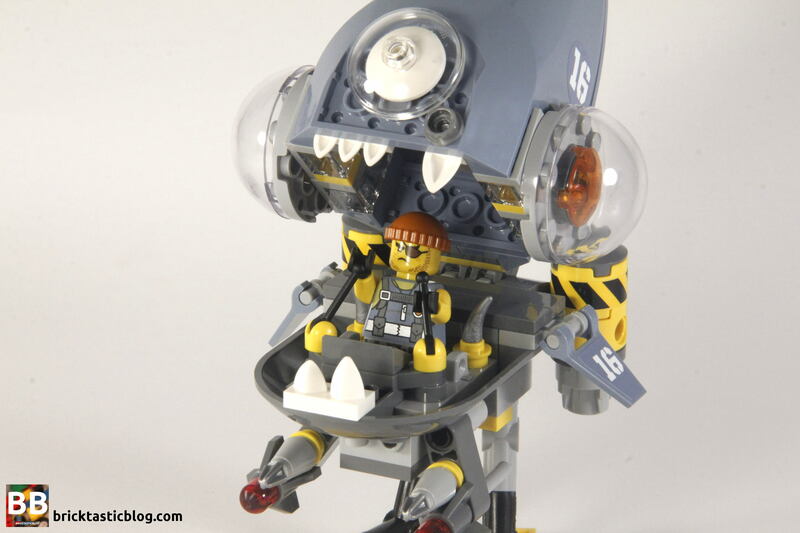 Then there’s the piranha mech. If you took off the legs and mechanised bits, you’d be able to use it in a larger scale aquarium – the shape is almost spot on for a comical piranha. The big goofy eyes, the teeth and fins, yes, even the legs. It looks fantastic. The extra mechanised additions are also very well designed. The weaponry underneath the body, the boosters at the back, and the periscope are all seemingly minor inclusions, but they’re very well executed. I’m not really sure about the dishes on the nose of the mech. I don’t really know what it is! Is it a scanner? A window for the pilot? Who knows. It looks pretty good either way! 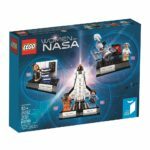 For what you get in this set, for AU $29.99 it’s a fantastic price. There are some fantastic parts that make up for a highly visually appealing set. The build process is enjoyable, and it’s fun to play with. This set is incredibly affordable and has a lot of potential. 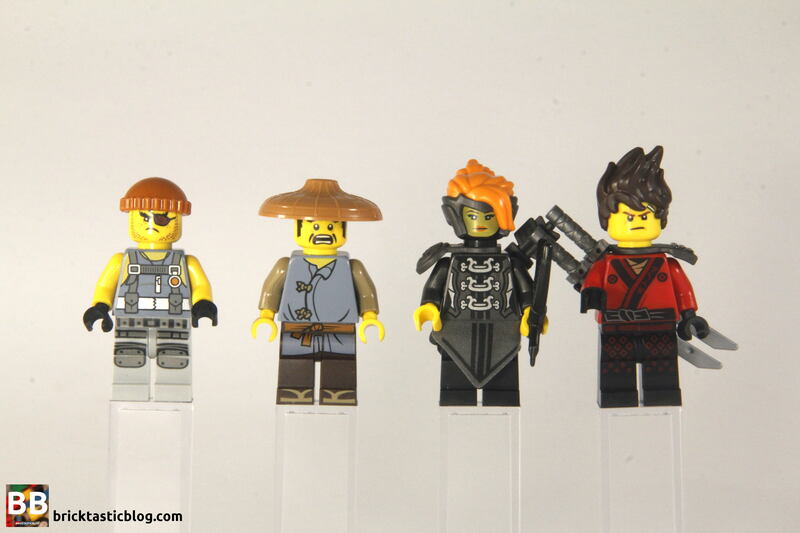 Builders of MOCs with an Asian theme might want to snap up a few copies of this set. If you’re a theme completionist, then you’ll need this set, but there’s not a lot in here that screams collectible. There’s no unique parts (aside from the torso), and no unique minifigures. 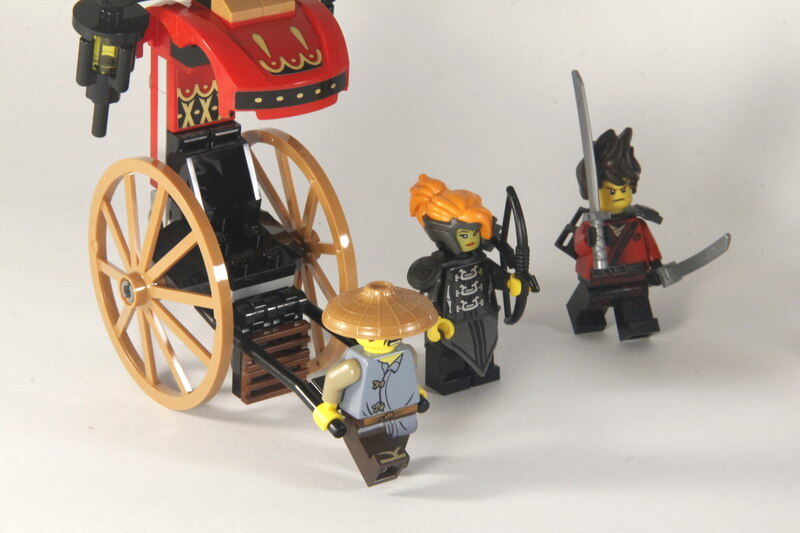 Lady Iron Dragon appears the least in this theme, and while she does appear in this set, I don’t think it’s greatest minifigure in the set.